People tell you all sorts of things about marriage. Consequently, most of the stuff they say is unhelpful, irrelevant, or pessimistic. I remember there being a point in which I just closed all the marriage books and decided that I was going to learn about marriage without one thousand voices telling me this, that, and the other. Granted, there is good advice out there and wise people that are worth your time! However, there are some things I’ve just learned to disregard, because I would be overwhelmed if I listened to every book and blog that tells me what to do, how to feel, what the issue is, how I should respond, what he is thinking…ect & so forth. 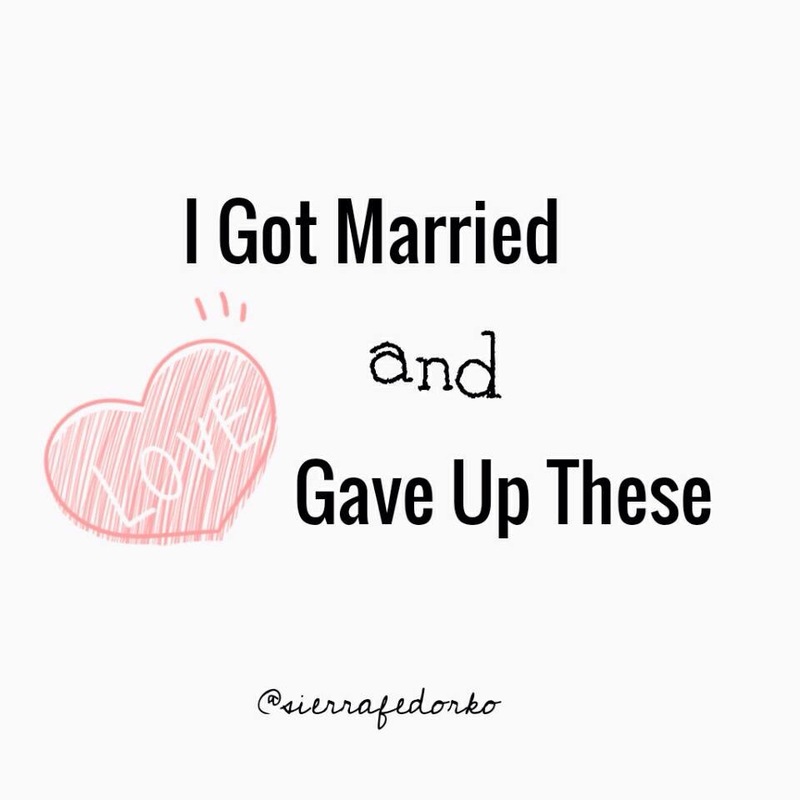 So here are a few things I gave up in order for my marriage to grow and strengthen. 1. 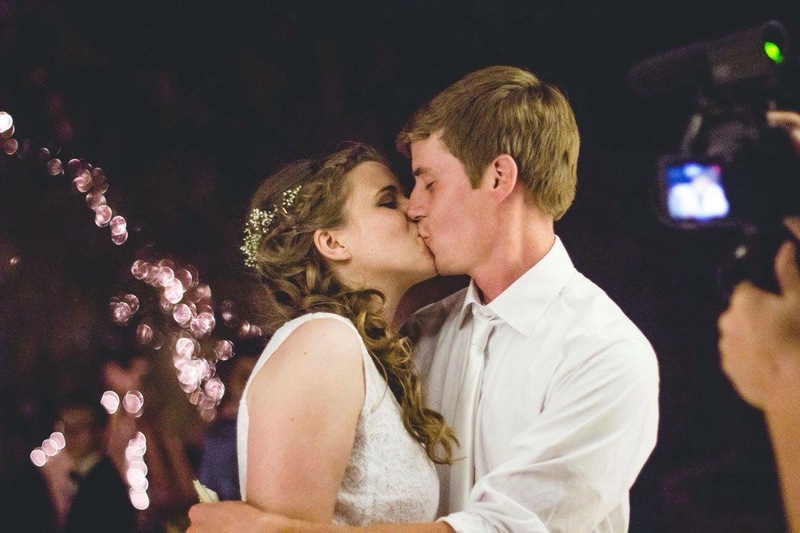 I gave up trying to fit into the expectations others had for our engagement & wedding day. People have a lot of opinions. Some that are worthwhile and others that aren’t. During this season of life, you hear all sorts! Trust me, plenty of things could have gone smoother throughout the entire process of our engagement & wedding day. However, things went the way they went, we gathered wonderful memories from it all, Ben and I celebrated with friends & family, and I wouldn’t trade out my experience for a new one! This is our story. Her opinion, his comment, Pinterest perfection, and Instagram photography just can’t top what’s true and real. The pressure to be an amazing-looking couple just slides right off. There’s honestly no time for that ridiculousness. I gave up letting all those expectations matter to me. We look back and smile at how it all turned out. We vowed before God and everything else was just an awesome bonus. Right down to the wind! 2. I gave up needing others to approve our life as a married couple. Not everyone has always liked the way Ben and I have done things, and it will be that way for the rest of our lives! But you know what? I’m not doing things or growing in our marriage in order to gain their approval. People don’t always know or understand exactly what we are working through, and it’s certainly not my job to persuade them to agree with us or to invite them into our personal lives. I just keep living alongside Ben as we grow in our love for each other and work to make the best decisions in light of God’s wisdom and love. 3. I gave up listening to all the pessimistic views of marriage. Someone told me that I would lose my desire to talk to Ben. In her words, that desire would “go away one day.” I turned my ears off for that one, and I continue to let those pessimistic views go in one ear and out the other…as quickly as possible. 4. I gave up letting books and blogs tell me how & what I should feel in my marriage to Ben. It gets very noisy in this world. You get bombarded by so many things. There are times that you just have to sign out of everything and shut the noise off. This includes well-meaning books and blogs full of the endless advice for married life. I’ve heard helpful things, redundant things, and really stupid things. But these days you won’t find me reading every Facebook-shared blog post or absorbing every page in a marriage book. 5. I gave up letting the experiences of others dictate how our marriage was going to be. Learning from the experiences of others is good, but it’s not good when you let those experiences either control your expectations or overshadow your present joy. The way it happened for them most certainly won’t be the way it happens for us. The way it’s hard for them probably won’t be how it’s difficult for us. I need to take what I can learn, but I can’t let these things dictate how I view what will or won’t happen in our marriage. Only God knows our valleys and mountaintops. We just need to trust Him, and not the experiences of others. I’ve given up making that marriage, that marriage, and that one squish and squash into ours. We are Ben and Sierra Fedorko. Our story is different, and we will keep on learning with & without all the well-meaning advice, pessimistic views, and endless expectations that come our way. It just gets better and better, but only by God’s grace! We are staying committed to each other and diligently pursuing each other despite the times we fail. We love each other more today than we did before, but only by God’s grace! We are letting both the good and hard times make our love stronger. Marriage is fun, but only by God’s grace! We choose to continuously let go of the expectations we have for life and each other. We are living this life–our story–as it comes…ruts, holes, mountaintops and all! We are giving up the useless noise, and grabbing tightly to Christ. We are trusting God with this marriage as we grow ever closer together. Marriage is not some Pinterest quote you pin on your LOVE board. It’s real life. It’s real work. It’s a real choice. And it’s always worth it.